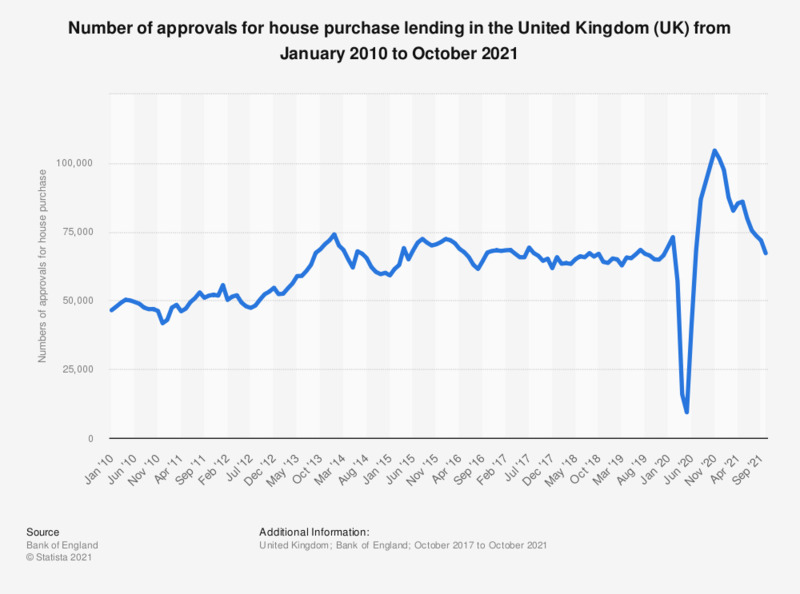 This statistic illustrates the total monthly number of approvals for house purchase lending to individuals in the United Kingdom (UK) from January 2017 to August 2018. It can be seen that the number of approvals for house purchasing lending decreased with some fluctuation during the period under observation, reaching a total of almost 63.8 thousand approvals for house purchase lending as of December 2018. The largest number of house purchase approvals was found in July 2017, when a total of over 69 thousand house purchase lending applications were approved.